Transfer by high-speed train to Paris to start your Monograms vacation package with 3 nights in "The City of Light". Enjoy a VIP sightseeing with an expert guide, drive past the Latin Quarter, Les Invalides, Place de la Concorde, the Arc de Triomphe, and join a Seine river cruise. You’ll enjoy guided VIP sightseeing in England’s most famous destination, as well as free time to really get to know the city. Sightseeing includes Big Ben, Westminster Abbey, Buckingham Palace, and St. Paul’s Cathedral. 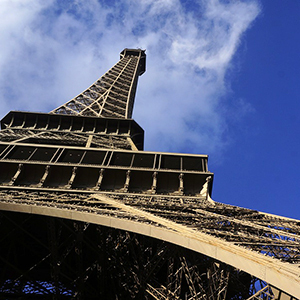 Your Monograms vacation package includes helpful onsite support from your expert Local Hosts® both in Paris & London. 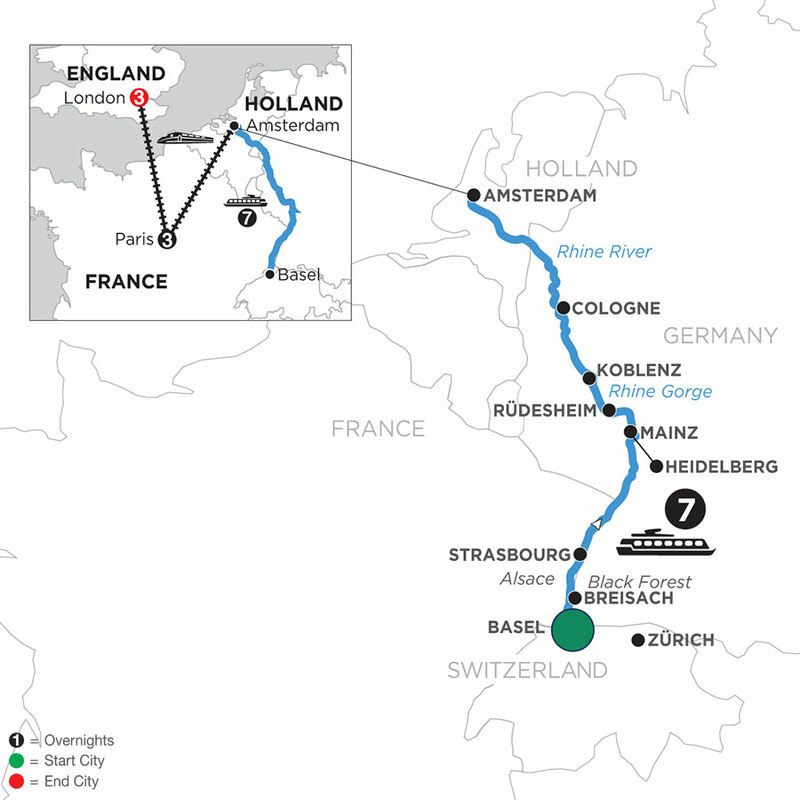 Your scenic river cruise on the Romantic Rhine River, and complete vacation package in Paris and London are the perfect combination to unlock a guided European vacation of a lifetime.